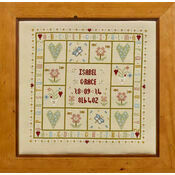 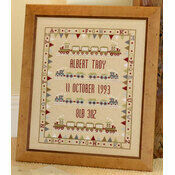 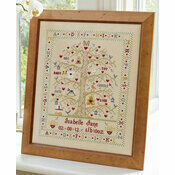 An incredible birth sampler with a wonderfully timeless design. 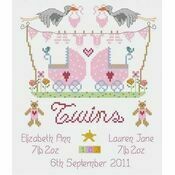 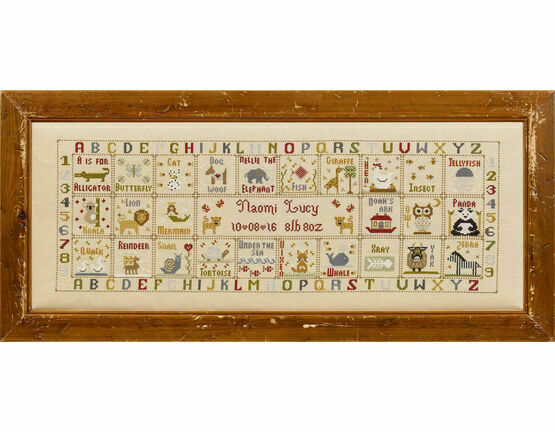 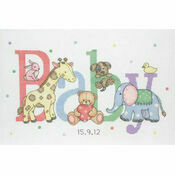 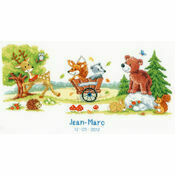 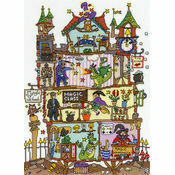 This cross stitch kit is decorated with a menagerie of animals framed with numbers and letters to make sure you always have something to celebrate the birth of your child. 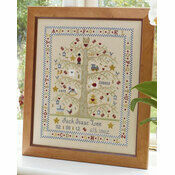 This is a large design that parents and child will admire together for years to come.